Oh, bother. I’m fresh out of coffee. Guess it’ll be hot tea for me today until I can make it to the supermarket. Lucky for me, I’ve got a Bear of Great Self-Control sitting on the edge of my cup, guarding my honey, lest anyone attempt to sneak it away from me. 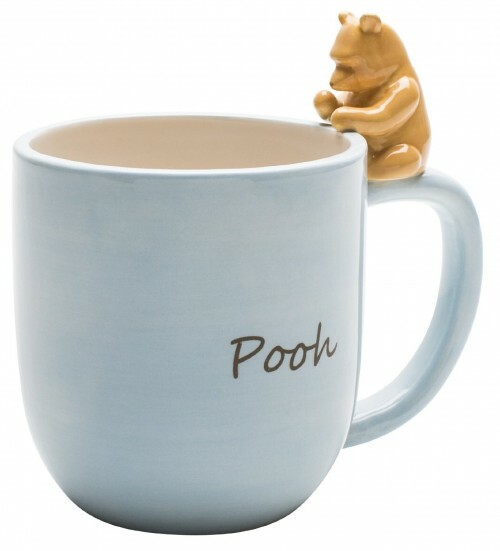 This Winnie the Pooh Mug is the perfect pick-me-up to get you going on days when your get-up doesn’t feel like getting up. Zak Designs also makes these cute ceramic mugs featuring Mickey and Minnie, just to ramp up your happy level in the a.m.
Awwww – that’s so sweet!